Hungarian Prime Minister Viktor Orban’s Fidesz party has laid out its anti-immigration platform ahead of the European Parliamentary elections in May with a seven point plan to counter Brussel’s push to bring more migrants onto The Continent, a process which has harmed Europe’s culture and security forever. Hungary has refused migrant quotas, along with other Central European nations like Poland, and even built a barbed wire fence along its border with neighbors to the south and west. Prime Minister Viktor Orban called for migration to be controlled by national governments, not European Union bureaucrats and repeated his view that no country should be forced to accept immigrants against its will. Orban also urged the EU to stop funding civic groups that support asylum-seekers and said “no one in Europe should suffer discrimination” because they are Christians, reported ABC News. 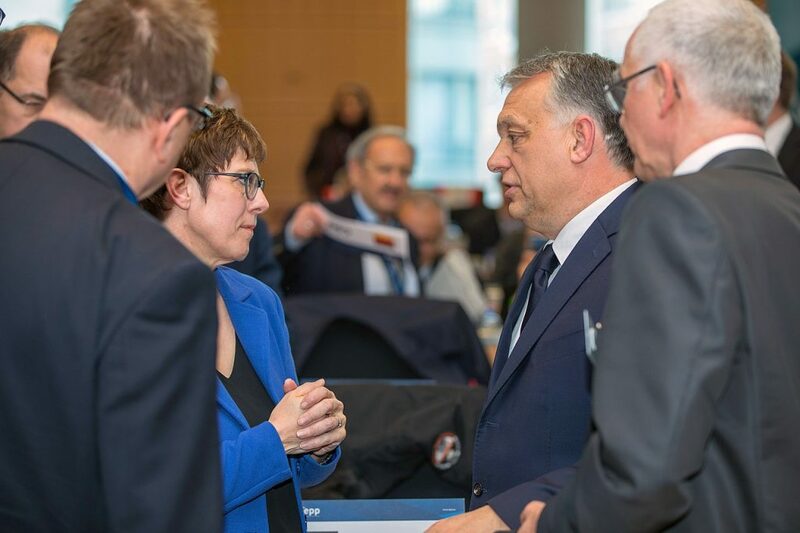 Hungary has also worked to force NGOs out of the country that are pushing the migration issue into Europe and vowed to work against Christian persecution. “No one in Europe should suffer discrimination” [because they are Christians], Orban declared. Hungary is aligning itself with other populist parties and politicians in Europe such as Italy’s Matteo Salvini who has also prevented more migrants from entering Italy, forcing ships to dock at other ports outside his country.